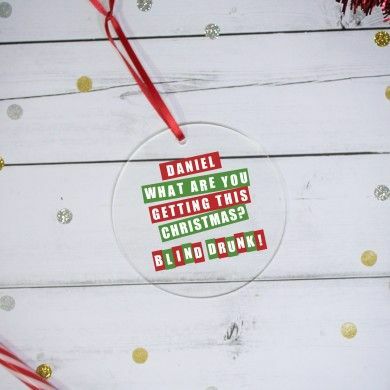 Personalise this fun acrylic Christmas decoration with a name of up to 15 characters above the fixed quote ‘What are you getting this Christmas? 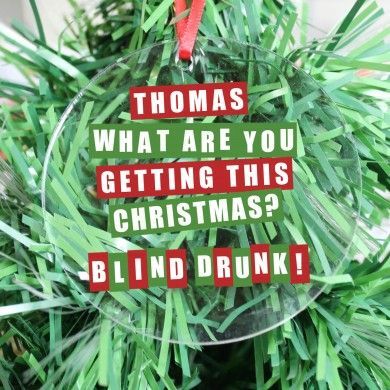 Blink Drunk!’. Finished with a ribbon, perfect for hanging on your tree. Dimensions: H: 8cm W: 8cm D: 0.3cm.